Dynasty Leagues often need to limit their draft to "Rookies Only" or "Vets Only" depending on when the draft is taking place. This option is accessible via the draft settings for your league. 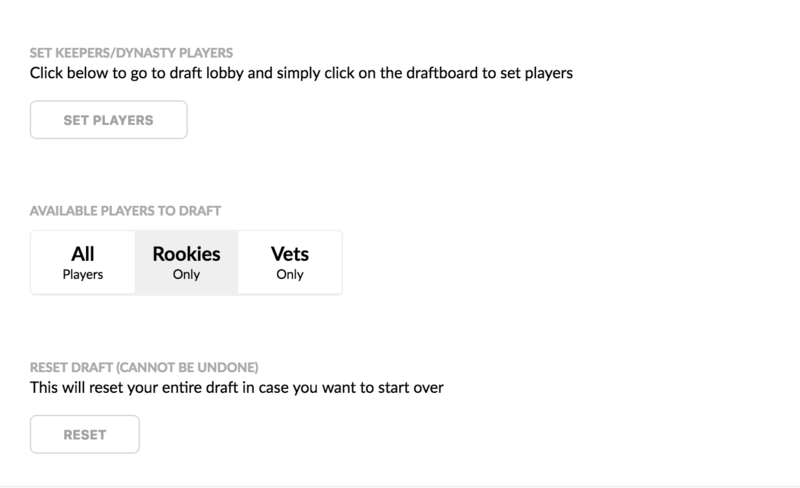 Bonus for mock drafters - You can also create Rookies Only or Vets Only draftboards even if you are not in a league.